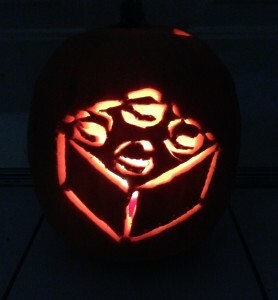 Have you carved your pumpkin by now? LOL If not here is a pretty quick and easy pattern I made for my son who works at Legoland. Just print and and when cutting it out of your pumpkin only cut where it is black so you get this awesome outline.